Gail started playing on bugle, aged 7, with the Girls Brigade, moving onto trumpet about a year later. Whilst with the Girls Brigade she was lucky to have the opportunity to play at prestigious venues such as the Royal Albert Hall and the Royal Tournament. 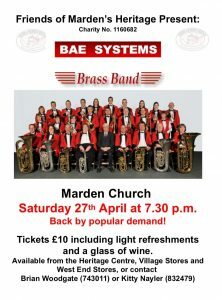 Gail also played trumpet with the Swale Music Centre Windband and Orchestra as well as at Sheppey Music Centre. Gail joined GEC Avionics Brass Band in 1991, starting on cornet. 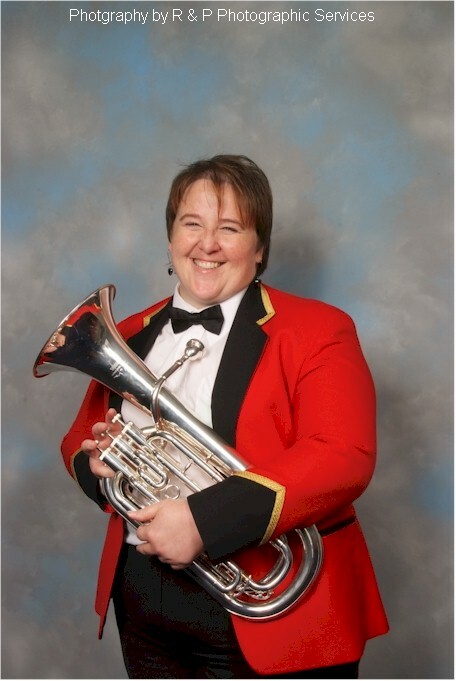 A few years later she moved onto baritone, which she loves playing, and has stayed there since (apart from a couple of sojourns back to cornet to cover maternity leave). Gail’s other musical interest is singing. She has been performing since the age of three in church and local choirs. She has also been a member of Kent Youth Singers, Kent Youth Choir, and Kent Youth Chamber Choir with whom she toured to France and Italy. She now sings with Opus 32, a Sittingbourne based choir with a very wide repertoire with whom she has the opportunity to do solo work.